Inner Design Newsletter - Don't Think That You Have The Time??? Here are the latest posts from my blog. If you have any trouble viewing this email then click to view in your browser. Don't Think That You Have The Time??? or take it almost anywhere. Cake Making At It's Finest! Intuition works in many ways. 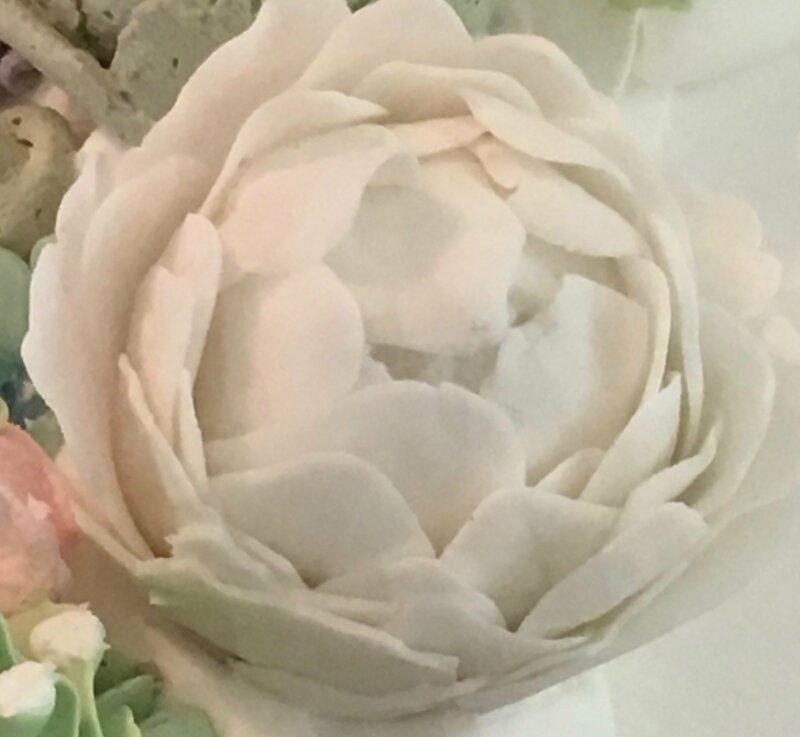 This professional cake artist knows exactly how much icing to use, where to place the flowers. This artist bases many of her decisions upon past failures and successes. It is as though the hands and the head work together. Why not? Who says that our hands can't carry and/or don't transmit information? She even uses her intuition for logistics. What could that mean? 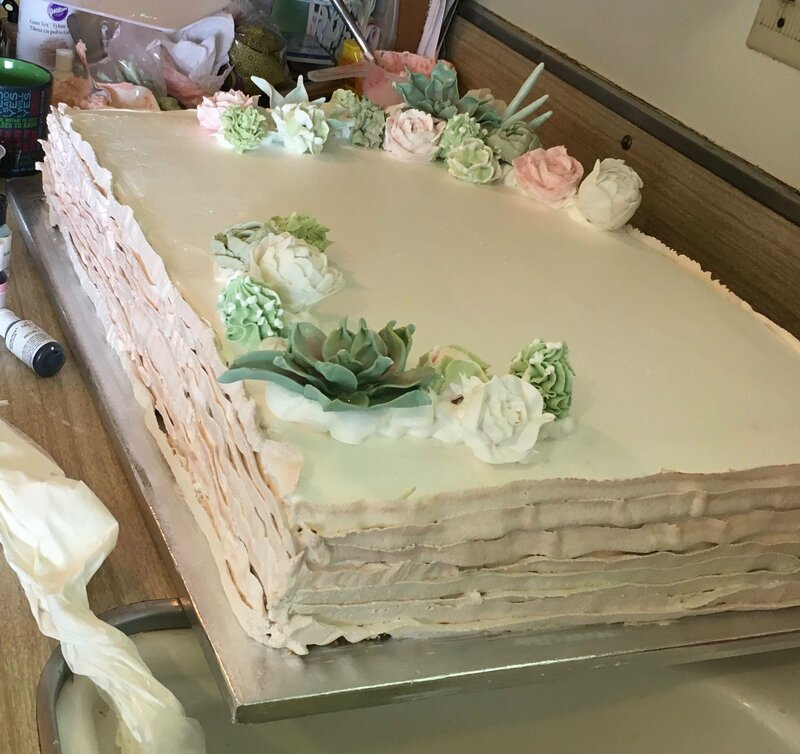 What does cake making and logistics have to do with one another? Cake artists transport their cakes and knowing how to lift and put them into vehicles may be a knowledge or wisdom gained over time. Hate to think about how many cakes this artist may have lost due to transporting or heat or how many she had to repair before delivering. After all, icing is tricky business, or so I have been told! One Down And One To Go! Well, that was then and fifteen minutes later as went to pay for my goods there was a small line at the check out stands. Where did all these people come from so quickly? Fortunately there were only two women ahead of me in line! The first women began talking with the cashier and I began fidgeting knowing that I might not make it in time to catch the next bus. Luckily, the woman quickly ended the conversation and left. One down and one to go. All that stood in the way of meeting my objective was the woman in front of me who had a fair amount of groceries to buy. She had a young boy with her who was sitting in the grocery cart. He looked to be no older than two. She proceeded to make her purchases and then she lifted a container of blueberries out of her cart to pay for them and she spilled half the container on the floor. As I watched the berries escape and head for the floor along with my intentions to catch the bus. The woman looked at me. I am sure that I had an irritated if not disgusted look on my face which she totally did not deserve. The cashier stopped ringing up the groceries and left the register to get a broom announcing that she had "no help." 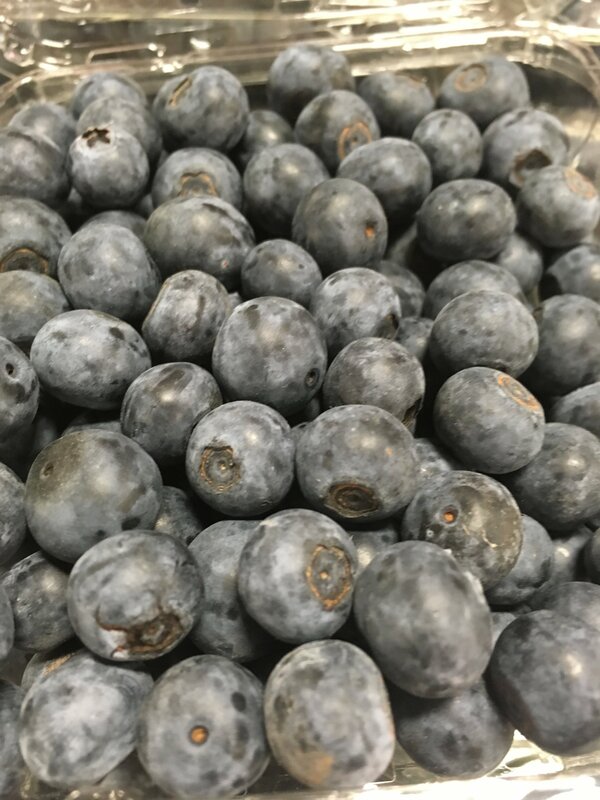 Being aware that my irritation and impatience was written all over my being, I asked myself " Am I going to be a jerk over a half pint of spilled blueberries?" Well, was I? I felt immobilized to do anything until I saw the store employee appear with a broom. "I have a bus to catch and will be happy to sweep so that you can check this woman out. " The customer who by now was looking embarrassed thanked me. I told her that it wasn't a problem and that it could have been a glass jar of juice that was spilled which would have made it much worse. She seemed relieved as was I because I had switched gears and had stopped showing my annoyance. The woman left and the cashier began ringing up my purchases. "Would you like some change for the bus?" she asked. I thanked her as I nodded yes. The groceries were quickly put in my backpack and I headed out the door. Having no idea what time it was, I walked as though I might be in time to board the bus at the bus stop. Once I crossed the street I noticed the bus half a block behind me. I ran and passed a woman on the sidewalk who asked if I wanted to catch the bus. I nodded yes and watched as the bus went by me. The bus waited for me. Yes, the bus driver waited for me! Was it blueberry karma? 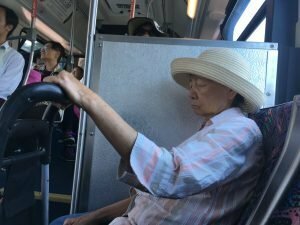 Did the woman on the sidewalk signal the bus driver? Was it the blueberries? 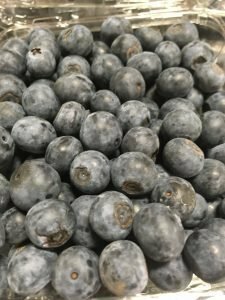 We all know that blueberries are good for our health? Are they good for our souls as well? It was almost ten years ago when lymphoma took him from his beloved Wisconsin family (two adults and one small canine brother). He was just a few days away from celebrating his seventh birthday. 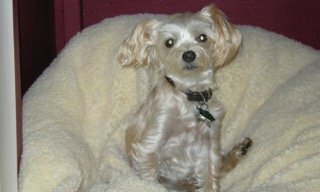 His name was Simba and he was a dog, more specifically a morkie (yorkie-maltese mix). He looked like one and he acted like some ferocious hunting dog that did acrobatics to kill unwanted things that flew or wandered into his territory. Perhaps he thought that he was a king of sorts despite his small size. That might not have been too much of a stretch, for someone who would exhibit that he had quite a library of knowledge and information after he transcended to another world. I knew that he was smart but nothing could have prepared me for my relationship with him after his body was laid to rest in his back yard. Although, his last living act might have been a Simba sign. He had tumors in his throat that made breathing difficult. His last day on earth, he managed to bypass or jump over a gate n the kitchen and walk down the hall to where his humans were sleeping and bark to let them know he was having trouble breathing. Yes he got their attention and to this day, no one can imagine how he got out of the kitchen in his weakened condition and do something which he hadn't done before! Since his departure, he has been in my head in a very earth shattering indisputable way. He talks to me via the only telephone that he has-a telepathic phone. He is courteous and respectful about delivering messages. Perhaps it is strategic just like his hunting skills. He knows when to get my attention, messaging me when I am in the mindset to hear him, not while I am in conversation or driving for example. The first message made me laugh. His Wisconsin humans brought another dog into their lives shortly after he left. He told me that she was not as cute or as smart as him. It must have been my imagination or so i thought until I talked with his human mother who told me that the new dog had Simba like behaviors. She took was small and she too was able to hunt and kill beyond expectations. This was just the beginning of the Simba calls. I have saved the notes and emails so that a story could be told. Sill I was not convinced that I had enough material. Maybe Simba intervened and inserted his opinion, perhaps a demand, one day when his Wisconsin mother told me that he deserved a book. Yes he was worthy of being written about . There was no doubt about that. So, I started writing and soon it was easy to bring in other stories that were not Simba related. Hmm I thought that there just maybe there might be enough. How to weave the contents of other stories with my client stories might be challenging. Anyway, I was willing to give it a try because the stories were truly amazing and worthy of sharing. Perhaps it would be revealed to me. Perhaps someone reading my pages would have some ideas. Well, this morning I took a bus ride. 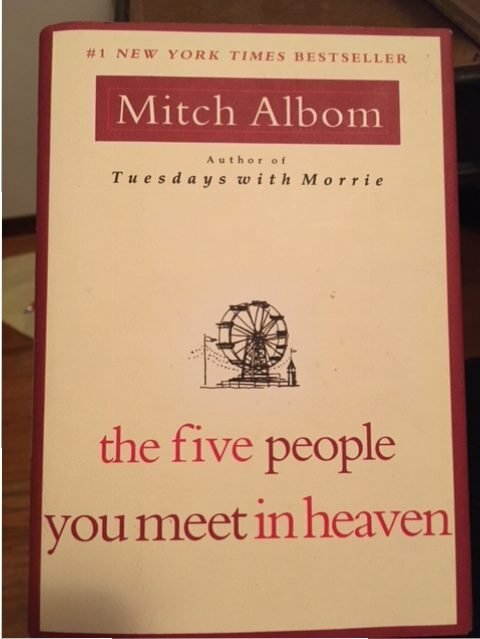 Since I had some time, I opened Tuesday With Morrie by Mitch Albom. The book that was given to me by a friend who insisted that I read it while waiting for the bus to arrive. Ok I thought. Why not? If I didn't like it, I wouldn't finish it. 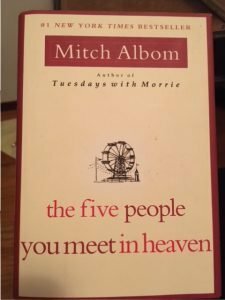 In my opinion, if a book can grab my attention within fifty pages, it is not worth reading. So, I had little to lose. Well, here was my answer to my Simba question! Yes right in front of me, there it was. The author had skillfully woven different stories and blended them into his story. If that isn't synchronicity, I don't know what is. Ask and you shall receive. Think about something and pay attention even if you are waiting for your bus to arrive! Coaching in-person, by telephone or on Skype tailored to you, your dreams and ambitions. Supporting you in becoming the best possible you. No charge for the first session or two as we explore what is possible. Contact faye@innerdesignintuition.com.